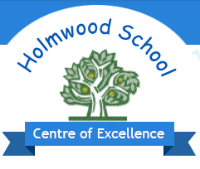 Holmwood is a primary school for children with a wide range of special needs. Holmwood School specialises in educating children with autism, SEMH and learning difficulties. The pupils come from the whole of the Middlesbrough area and beyond which includes a wide social mix and an average ethnic representation. Holmwood School aims to provide an outstanding education for children with special needs. Holmwood is a special school in Middlesbrough . It caters for children from reception age to the end of Year 6. It provides a nurturing educational provision for children with special needs. Holmwood School specialises in educating children with a wide range of additional needs.